I have a 1956 $1.00 grade as PL-65 that has SWL's. There is notation on the grading certificate that is a SWL variety. When I contacted the grading service I was told they do not put it down as a SWL because it is not listed in the Charlton Coin books that 1956 had SWL's. 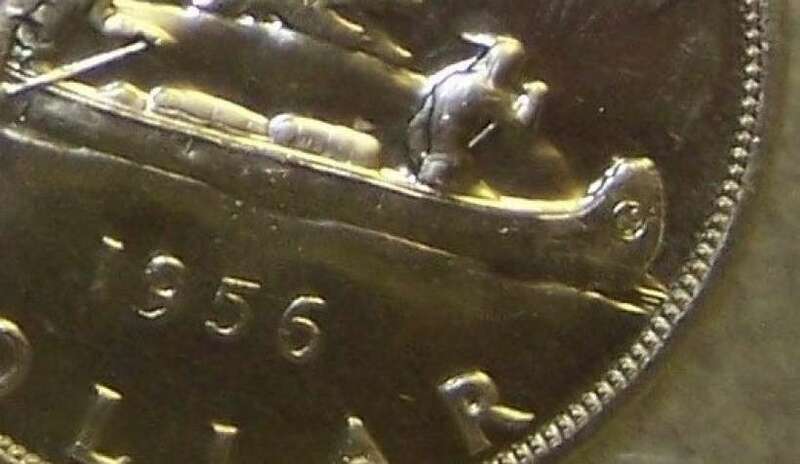 Does anyone how much this coin is worth compared to just an ordinary 1956 PL-65 with FWL's. This coin would give me the full set of Ancaster Silver Dollars 1950 to 1957. Any information would be grateful. Last edited by Steelmaker13 on Mon Jan 11, 2016 8:02 pm, edited 3 times in total. Can we see the certificate with the SWL printed on it? Yes of course I will upload a couple of photo's showing the certificate #. The certificate doesn't have the SWL listed on it. I called ICCS and was told they didn't make note of it because 1956 does not show SWL's as a variety in the Charlton Coin books. "The only reference book I have is the "Canadian Silver Dollars" by Starr Gilmore. The book mentions stuff down to minute details, including the various distances between the numbers of dates for each year but does not mention anything of importance for 56 and nothing for the PLs of the year." 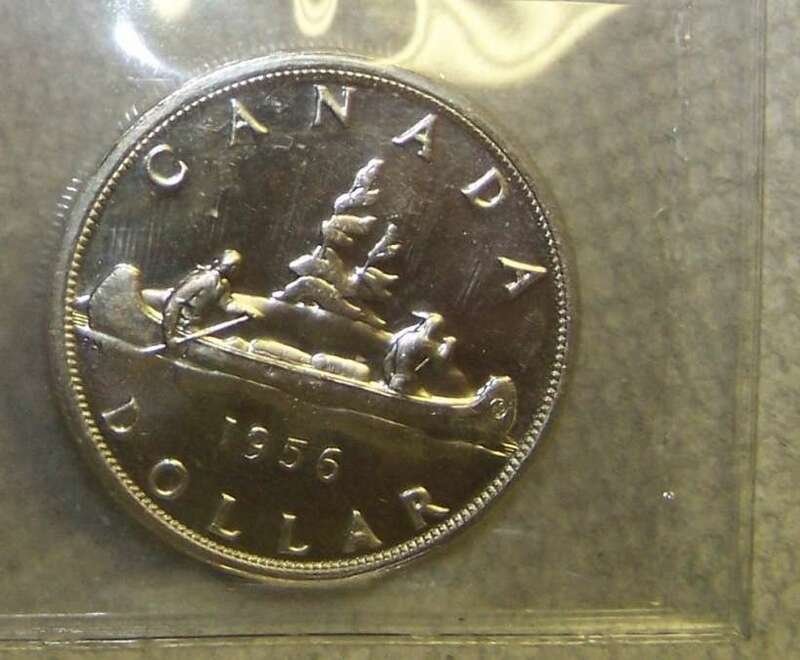 My site there has some of the top Canadian dollar experts and none commented on a '56 SWL in prf. Thanks Bill I just joined the " ONA " hopefully sometime this spring or summer I can show this coin to someone with credentials who can verify that this coin is a verified 1956 SWL variety. Even if we have to take it out of the ICCS grading package.. I will have to buy this book in a few days once I get over my lung constriction. I would be very careful about relying on getting verified accurate information from the book that Lightwire referred to. If you are in the T.O. area this summer, there are a couple very good shows with any number of folks who can help you informally. Bill, I was thinking of going to ONA convention in Kitchener in April if my COPD gets under control. If I did go to that I can stop in Richmond Hill to get their opinion. If I find it's not real I can melt it down at the steelworks. I have a bunch of Charlton books as I am trying to learn what to look for when buying coins. I will make some mistakes but won't pass them on to others. I mentioned T.O. because that's where the Coin Expo's are twice a year. There is normally a fairly small (10-12) group of very active coin site collectors, dealers and researchers there ... not only for the show but the show-and-tells and passing around treasures at Jack Astor's just down the street. Since it's at the Reference Library, there are always tables and chairs to have neat discussions with coin site folks in your areas of concern or question. At the show-and-tells you may see some of the finest known examples of just about anything from Langdon to Heritage, to Belzberg or to/from any other fabulous collection. Many of the folks who make frequent posting on various coin sites and active dealers are in the crowd and discussions. Sometimes there may be 15-20 people after hours at Astors just talking coins. Thanks that sure sounds like an interesting way to learn more about things that may concern anyone trying to learn about items that may concern themselves and possibly learn by what concerns others. Will try to make it down south for one of those sessions. You have been a volume of knowledge and I thank you for this.